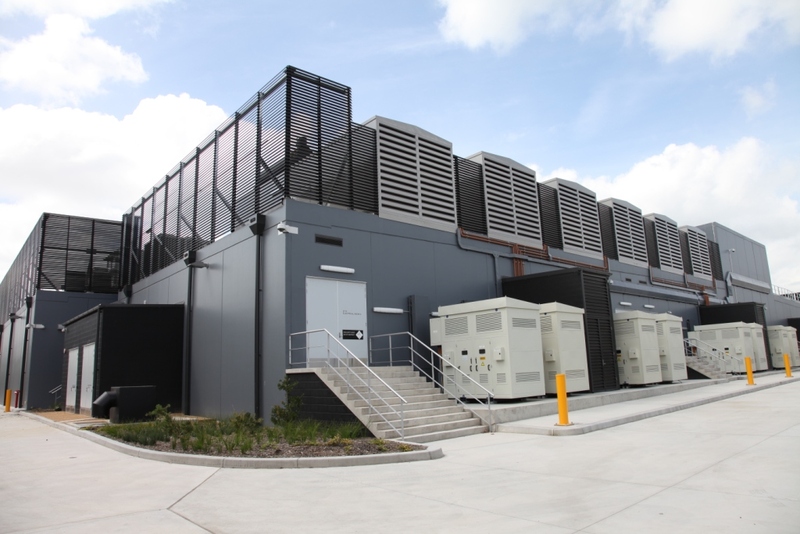 Digital Realty, the principle client, is a trusted data centre solution provider for many of the world’s leading organisations who offer global data centres anchored by cloud provider Rackspace offering storage, server and platform service to some 2500 companies in Australia and New Zealand, including Rio Tinto, Xero, Lonely Planet and Tourism Queensland. 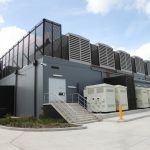 Ryan Wilks’ long standing reputation in providing quality power solution installations to the Telecommunication sector has once again been endorsed with the successful completion of this Data Centre’s emergency power requirements. 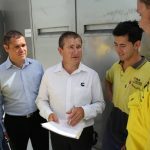 On behalf of Cummins South Pacific all aspects of this new build’s emergency power requirements were installed in a stringent time frame and with zero incidents. 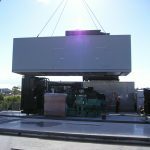 Electrical installation of three (3) dedicated 2,000kVA continuous rated Cummins generators configured as N+1 over two data hall suites – total of six (6) containerised 2,000kVA Cummins generators. 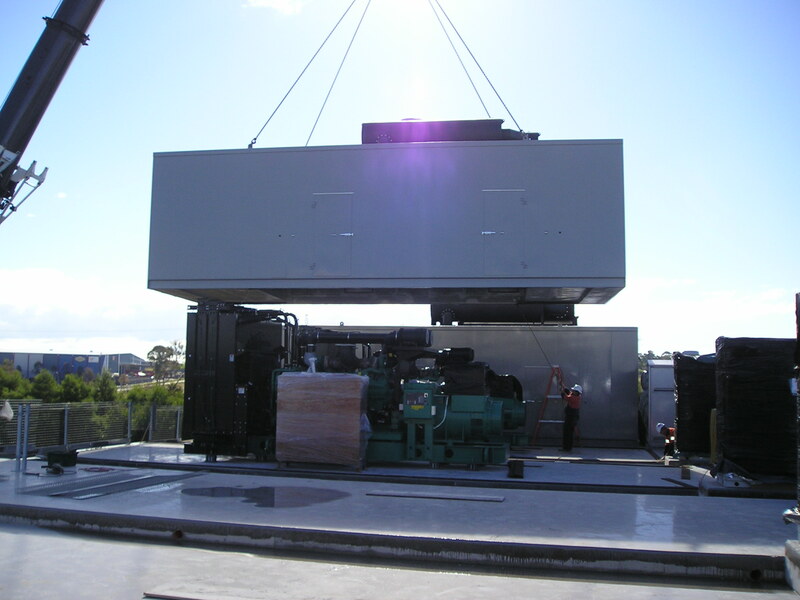 Installation of two (2) 300 kVA generators configured as N+1 servicing building operations. Off-site dummy load testing compiled of 4 hour reactive load tests with detailed chart recording, step load tests, all electrical data logging of harmonics, transients, power factor, rejection response etc. 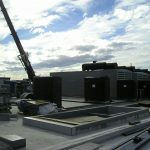 On-site dummy load testing compiled of 4 hour reactive load tests prior to final commissioning / cutover. 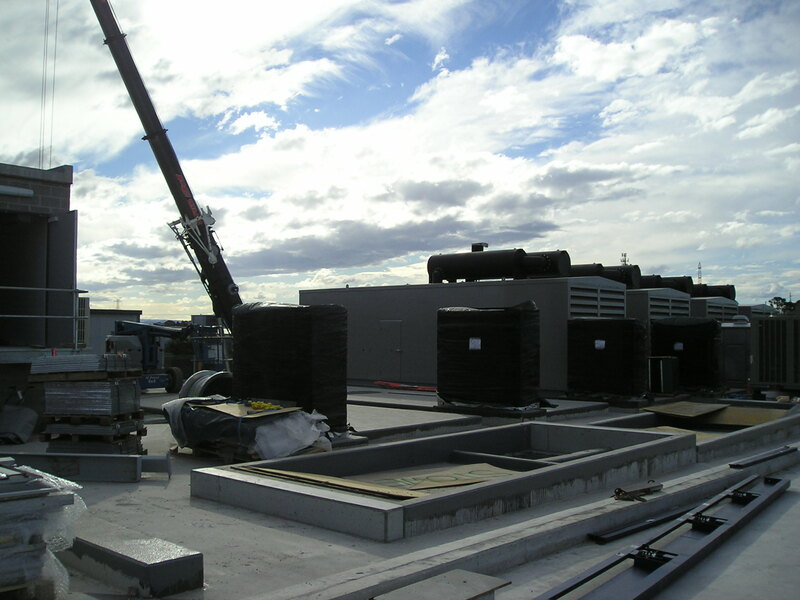 Installation of over 4 km of 400mm² generator mains cabling over two levels. Design and construction of Fuel Control System, including control panels, cable tray support structure and associated cabling for the fuel control of all 6 x TKD Generators and 2 x PBB Generators. 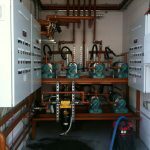 Automated fuel control transfer including circulation fuel system from 2 underground bulks tanks to the individual generator canopy day tanks. 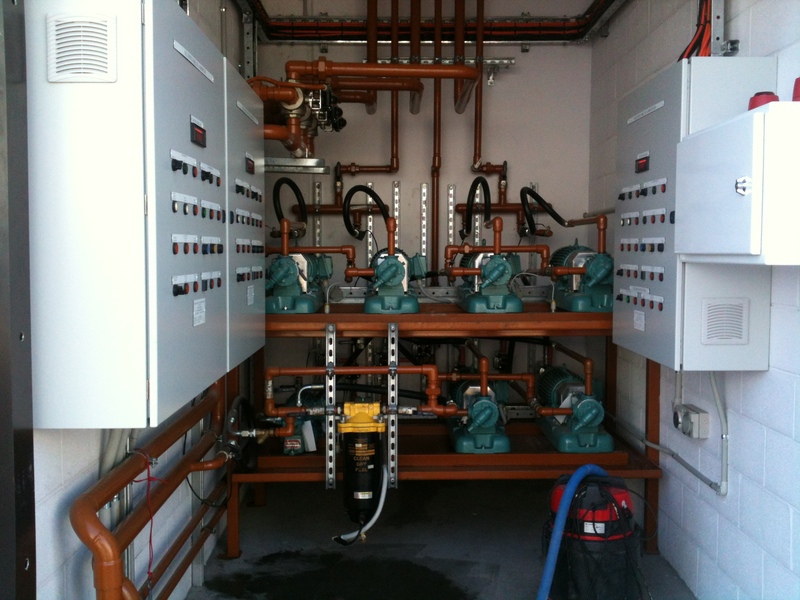 The system incorporated full manual overrides, fire trip, leak detection (day tank interstice space, drip trays and underground Bulk Tank Fuel lines) as well as full BMS / AMS connectivity. Generator canopy & auxiliary electrical fit off. On the back of this project Ryan Wilks were engaged to off load and install all electrical switch within the data centre comprising of six (6) LV Main Switch Boards, six (6) Generator Switch Boards, six (6) Temporary Generator / Dummy Load Testing Switch Boards, twelve (12) MCC Switch Board, twenty four (24) PDU Switchboards / raised floor stands together with numerous battery control panels and marshalling cubicles. 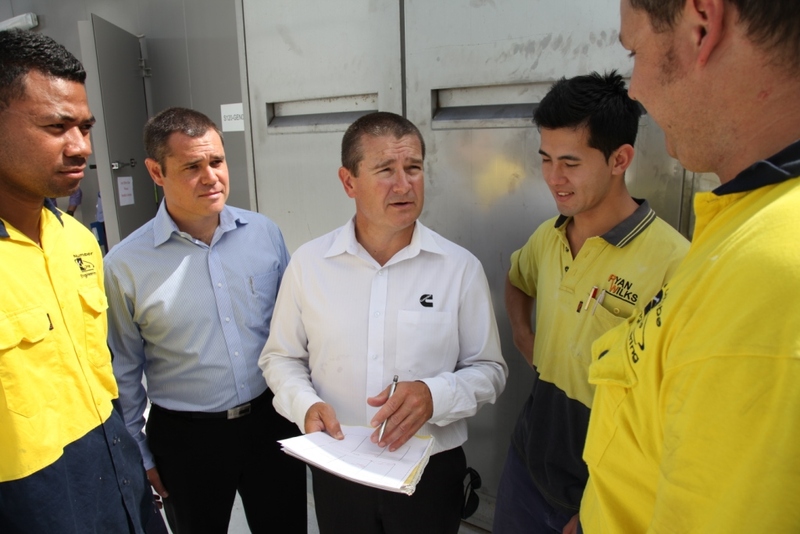 In addition to this Ryan Wilks have been awarded the annual switch board maintenance for the Erskine Park Facility.